Ideal for keeping your coffee hot and fresh when on the go. 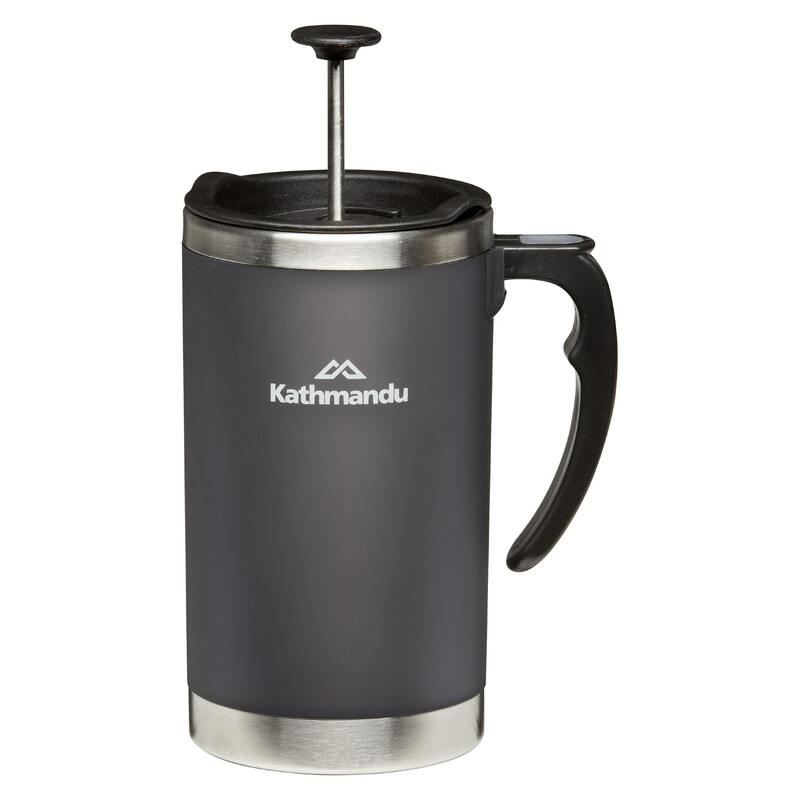 Keeps your freshly-plunged coffee piping hot and prevents spills on the go. For best performance pre heat with hot water and leave for a few minutes before filling with desired liquid. Before and after each use - hand wash only, use mild detergent, rinse well and air dry. Never use chemical bleach or chlorine cleaners. If cup becomes stained or tainted to taste use a teaspoon of baking soda in warm water, let stand for 1 hour and repeat. Warning: Never microwave. Never put in the dishwasher to avoid potential damage or water leakage between thermal layers. Always check the lid is securely in place before drinking. Do not overfill with hot liquids above the base of the lid. Keep out of reach of children when used with hot liquids.